Are you looking for expert endodontic services in Las Vegas? If so, you’ll be in safe hands with the team at Streamline Dental Specialties. What exactly is root canal treatment and why would I need it? Endodontics is a field of dentistry that is concerned with the diagnosis, treatment and management of conditions that affect the tooth roots. The most commonly performed endodontic procedure is root canal treatment. If you have a cracked, infected or decayed tooth, and the pulp tissue is affected, your Las Vegas dentist may recommend root canal therapy. The pulp is the living part of the tooth, and it contains the nerves and blood vessels. In many cases, this procedure can be used to salvage a tooth that would otherwise need extracting. If a dental infection isn’t treated properly, there’s every chance that an abscess will form and the tooth will be lost. Our expert dentists have extensive experience in endodontic treatment, and we can usually complete root canal treatment over the course of one or two visits to the office. The first stage of treatment involves removing the infected or damaged pulp tissue, and the second phase is designed to restore and strengthen the tooth. After root canal treatment, the tooth will look and function like a healthy, strong tooth, and with the right care and attention, it should last for many years, or even a lifetime. 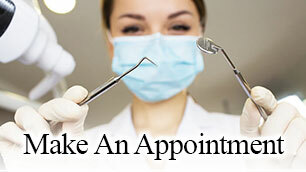 An endodontist 89117 is a dentist who specializes in endodontic treatment. Endodontists undertake advanced training in root canal treatment in addition to two years of additional study. If root canal treatment is required, general dentists often refer patients to endodontists. Our dental team comprises Dr Kate Nguyen and Dr James Schlesinger. If you notice any of these symptoms, we recommend getting in touch as quickly as possible. Our dentists will use advanced diagnostic techniques, including digital X-rays, to determine the cause and identify the best solutions. It is also possible for endodontic issues to emerge without causing noticeable symptoms, and this is why we recommend regular routine check-ups. The primary aim of root canal treatment is to remove the damaged or decayed pulp tissue. To do this, your dentist will numb the tooth and then drill into it to access the root canals. The pulp tissue will be taken out, along with the tooth nerve, and the root canals will then be cleaned, medicated, and sealed. This helps to prevent the spread of infection. In most cases, a new crown is placed to make the tooth more sturdy and robust. This can also offer esthetic benefits. After the procedure, your dentist will then fit a permanent crown. This usually happens around 2 weeks later. If you’re searching for an endodontist 89117 in Las Vegas, look no further than Streamline Dental Specialities. 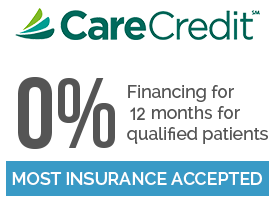 Call us today on 702-602-8908 for more information!